The sleek veneer finish of this Bella bar stool is a classy choice for this exceptional seat. 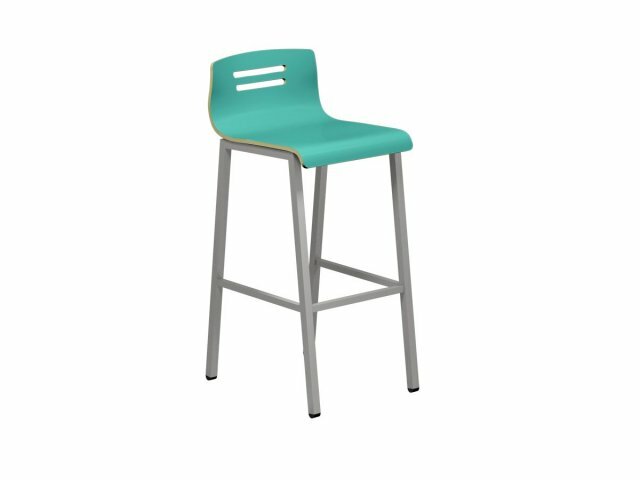 Bella Bar Stools exude modern style. Their unique contoured seats come in a selection of eye-catching hues, complemented by the exposed sides of a 7-ply veneer shell. 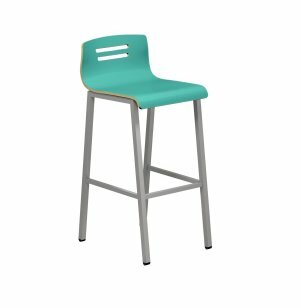 With the sturdy support of a fully-welded, tough-gauge steel frame, these stools offer a robust seat to students or professionals. Attractive Style: Contoured 7-ply veneer shell has stylish exposed edges. Durable Build: Wood screws fasten mounting hardware that connects the shell to the frame. 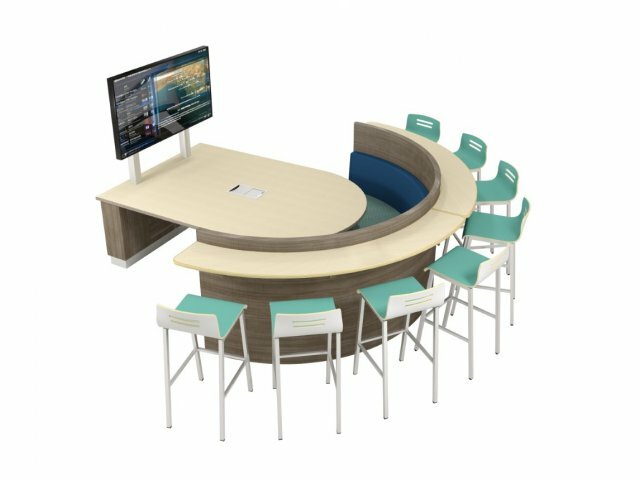 Sturdy Support: Stands on a fully-welded, 16-gauge, powder-coated steel frame, available in a selection of hues. Great Options: Available with a veneer or high-pressure laminate finish, both in a selection of hues. Stable Positioning: Tapered legs have a supportive, built-in foot ring and plastic glides.